cliffs of Moher were the highlight. Our tour guide, Colette was professional and fabulous. As well as our bus driver, Hugo. The tours and hotels were excellent. The tours, hotels were excellent. I’m not sure if all Colette tours are the same since this was Elegant Ireland. My first tour with Colette. Great service. Every person, from the tour booking to the tour guide and driver, were excellent. ******* ********, the tour guide, and ****, the tour driver were the very best that we could have had. They attended to our every need. Never did we have a concern for anything on the tour. We stayed in all 5 Star properties and the tour attractions were top notch. We had a wonderful tour with so much knowledge from the tour guide, ******** ********. She was wonderful. We enjoyed seeing the sights, the stay at Dromoland was especially elegant. We extended our stay there and I'm glad we did as we had more time to,enjoy the grounds, our room and the ambiance. We loved the farm tour as well as the sheepdog demonstrations. I would have loved to have more time for local pubs and entertainment. The food was great. Frustrations grew as the week went on. People would be chronically late each time we were to be at the bus for departure to our next destination. This led to a couple not showing up and all of us waiting on them over two hours, the tour guide having to contact Colette for further instruction only to be told their policy was leave no one behind. I would instruct the tour guide to have people put their phone number in cell when the tour first begins so people could call if problems arise. Tour,guide had given it to us on paper, however, maybe more effective if they instruct people on first day while sitting on the bus! I would not go oin another tour unless I knew the policy has changed for late return to,the bus. I think a smaller group would enhance the tour experience as well. We upgraded our rooms at Dromoland Castle and the Intercontinental as we had credits we had to use up. I cannot state accommodations at these places from the tour experience perspective. The tour guide and the tour driver or excellent. My wife's and I biggest frustration was that there were four to five people always late getting back to the tour bus. These four to five people were at minimum 15 to 20 minutes late getting back to the bus every time. Therefore everyone else that was back on the tour bus had to wait on these particular people. We had one unfortunate incident where a couple stated they had got so drunk they could not find the tour bus and we searched for them for over 2 hours and they had taken a cab to the next hotel without telling anyone. Everyone on the tour bus was concerned because they thought something may have happened to them and the tour guide even went to the police station to file a missing persons report when we could not locate them. I know my wife and I and several other people on the tour would not do another Colette tour until Colette changes their policy for waiting for people. These people were all adults and they should not have been allowed to delay everyone 15 to 20 minutes at every stop. The tour guide told us that collects policy was to not leave anyone behind but when you have people consistently late getting on the tour bus it is very frustrating for the others that follow the rules. I think Colette should give the tour guide the ability to tell people if they're late 10 minutes the 11th minute tour bus pulls away and the people that are late are responsible for getting themselves to the next destination. If the same people are late more than once then we wait 5 minutes and then the sixth minute the tour bus leaves. The entire tour group should not have to wait on the same people over and over again. Our stay at Dromoland Castle was one of the highlights of the tour. Fortunately we had extended our stay and stayed there an additional three nights. The tour of the family farm was also an excellent choice. I already filled out the paper form and mailed it to you,, so this is a repeat. Check in at hotel on first day was unacceptable! They made us wait 5 hours in the lobby until our rooms were ready. *****, tour guide, was not very good. She was very dis-organized, and her presentations were very vague. The hotels and food were OUTSTANDING! aLREADY GAVE THIS INFORMATION ON YOUR FORM. Hello, thank you for sharing this feedback with us about the tour. We have passed this along to members of our team for review. We appreciate you and value your insight as it helps us to improve our tours for future guests. We look forward to traveling with you again soon. The tour was wonderful and the tour manager, *personal details removed by Feefo*, the best part. I learned so much about Ireland and the places that we visited. The walking tour of Dublin with *personal details removed by Feefo* was wonderful, and so knowledgeable. He would find out where we lived and related it to Ireland in some way. So personable and professional! 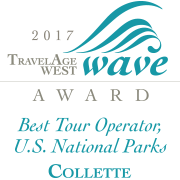 I definitely will recommend Collette, in fact already have. From sales representative was most helpful, all travel documents received in plenty of time, and the transport was easily located upon our arrival at the airport destination. The tour was perfectly paced, the tour guide and driver were compatible and enjoyed each other which made the travelers enjoy our trip even more. We are already talking about "where to next"! Our Travel Manager made the trip. The Travel Manager, Sarah Swaney, made the trip. She is so knowledgeable, fun, and helpful. The accommodations were up and exceeded expectations, My sister and I are already searching for our next trip. 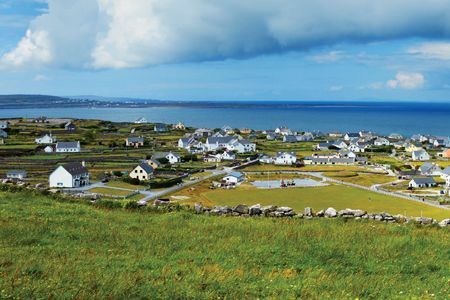 I loved Dublin and was awed by the Cliffs of Mohr and Bay of Dingle.The stop in Smeen was great. Did not care for the trip to Barra but must complement our driver, Sean, on his skill. 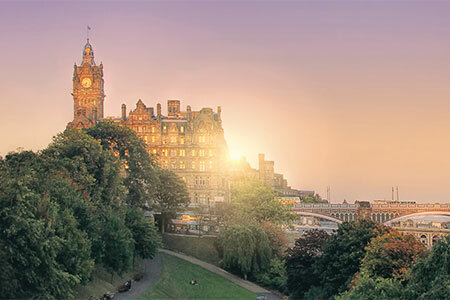 Fine choice of hotels, cafes, attractions. Great bus service. Hotel rooms were larger than we expected. Good pace of travel and visit to attractions. Beautiful country. Overall was a wonderful experience! Was almost spiritual in that my people emigrated from Ireland. Staying in county Clare was fantastic. This is where my ancestors were from. Dromoland was like a fairy tale. Sally is wonderful and made a trip swamped by rain a enjoyable experience. Loved the Highgate Organic Orchard. Cliffs of Moher was the highlight. 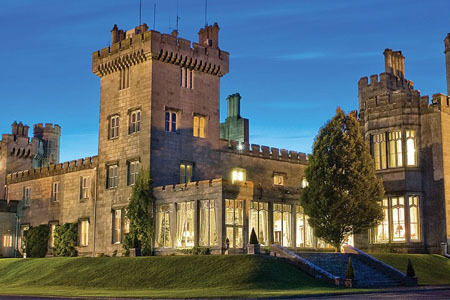 All hotels excellent, especially Intercontinental and Dromoland. 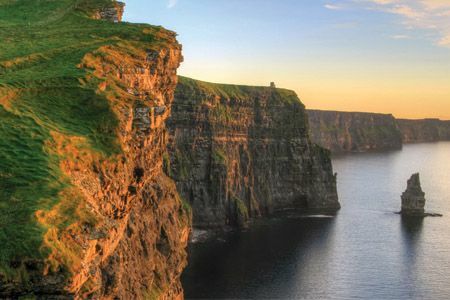 Cliffs of Moher are breathtaking. Loved the Organic Orchard. Everything was perrfect. Great accomodations, excellent dining choices, excellent tour manager. I was pleased with how they handled all the details. The hotels were wonderful, the food was excellent and our tour guide did a great job. For me, it was the Cliffs of Mohr. 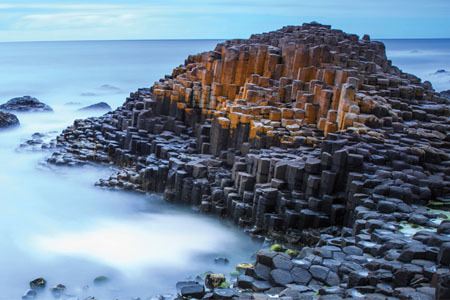 Explore Ireland. 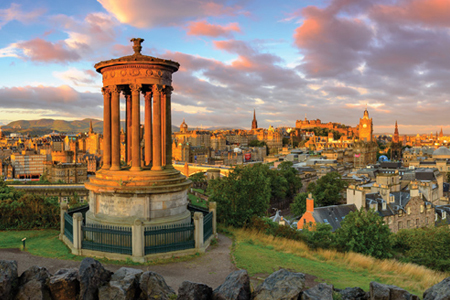 See the castles, experience the culture, meet the locals, and behold those famous shades of green that stretch as far as the eye can see. Triple accommodations are not available. *Gentlemen are required to wear jackets for dinner at Dromoland Castle.